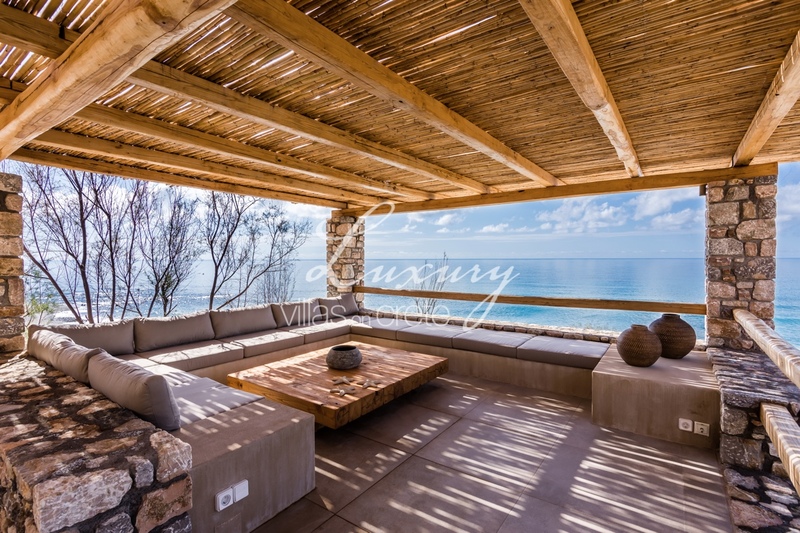 Blending simplicity & luxury in a stunning environment. 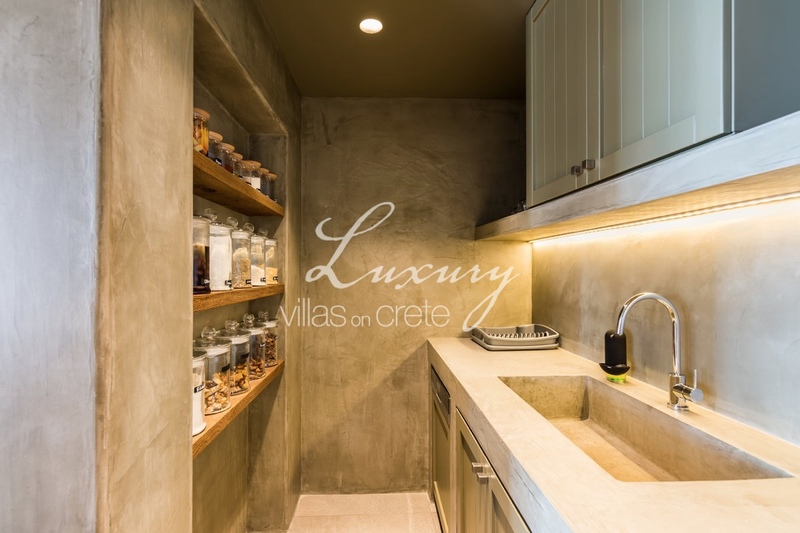 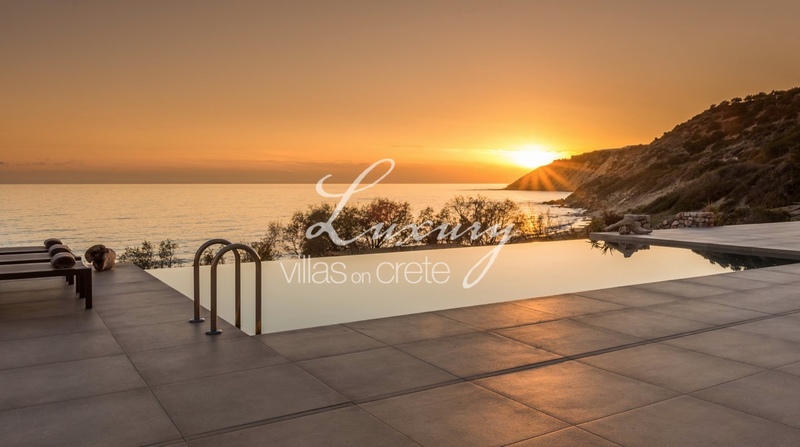 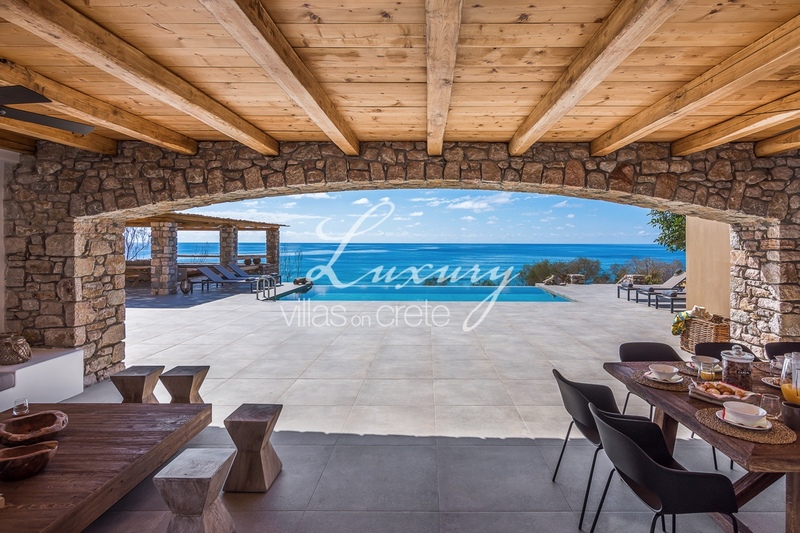 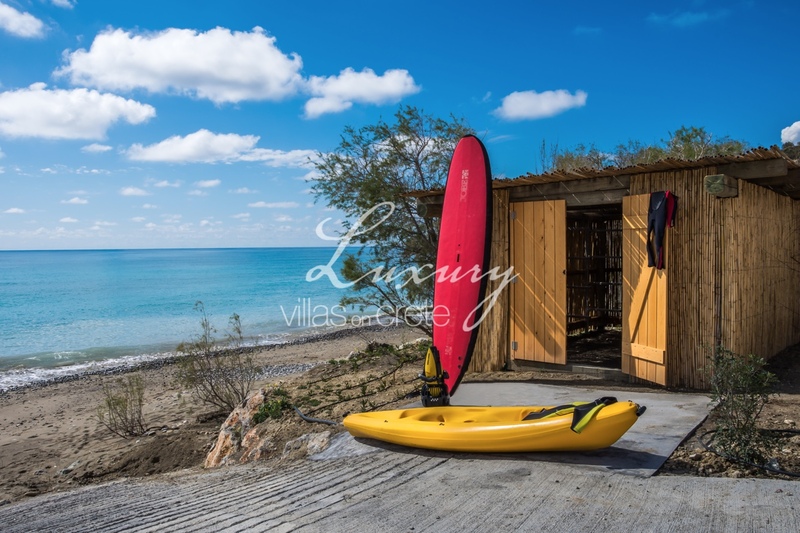 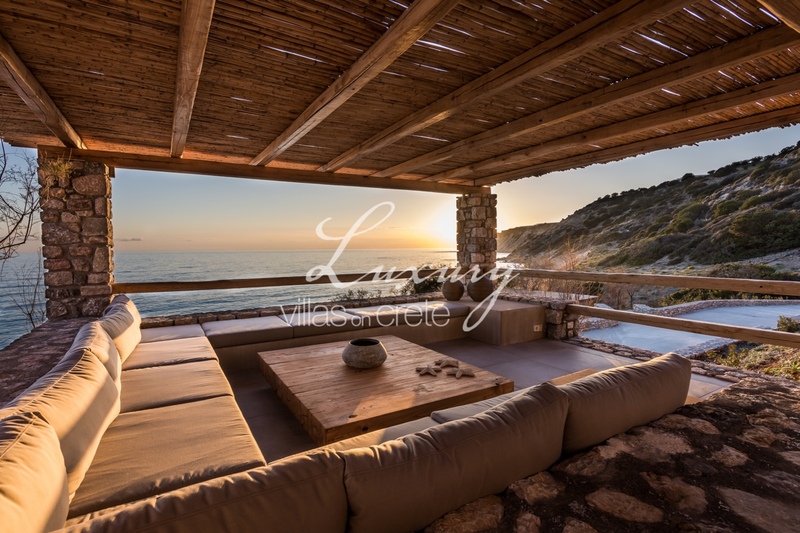 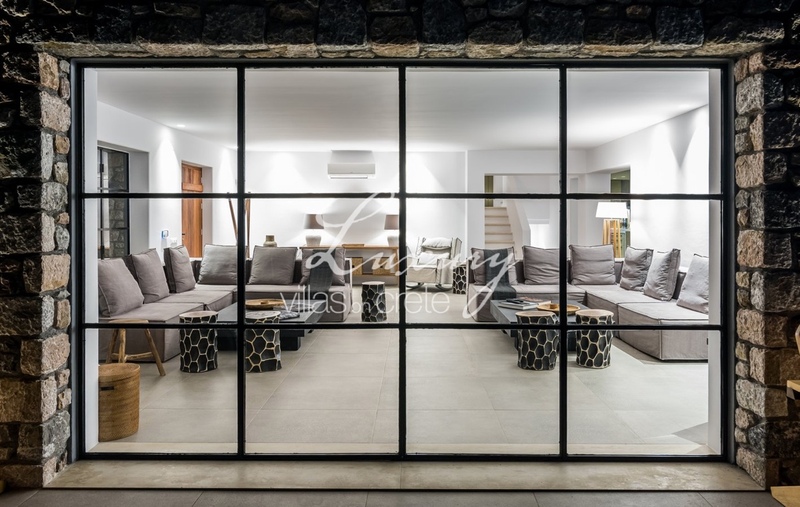 Villa Beach House Arvi brings you the best of Crete. 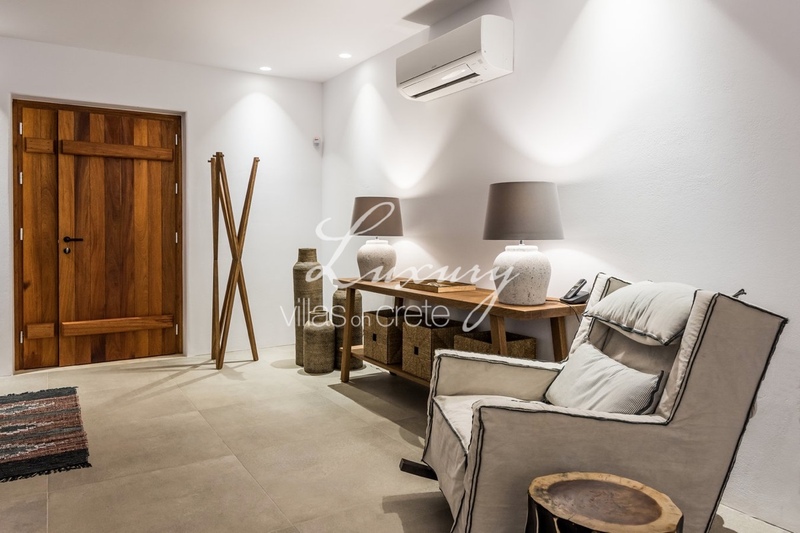 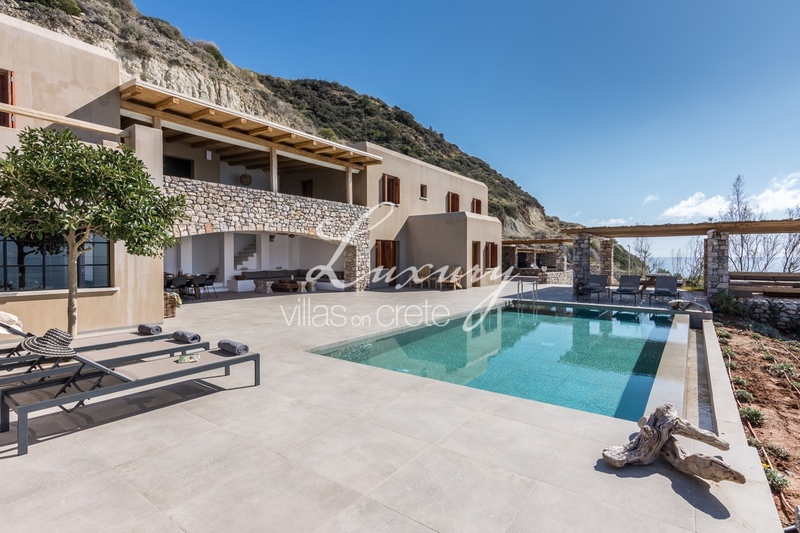 The villa consists of three blocks; the main house, the guesthouse block and the extra guestroom by the sea. 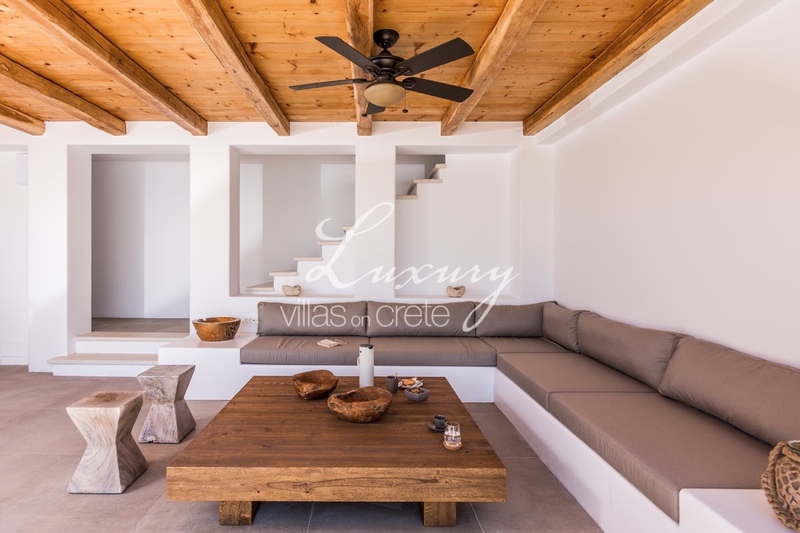 The villa has 8 bedrooms and two family rooms with two bedrooms each, in total 12 bedrooms are at the guests disposal. 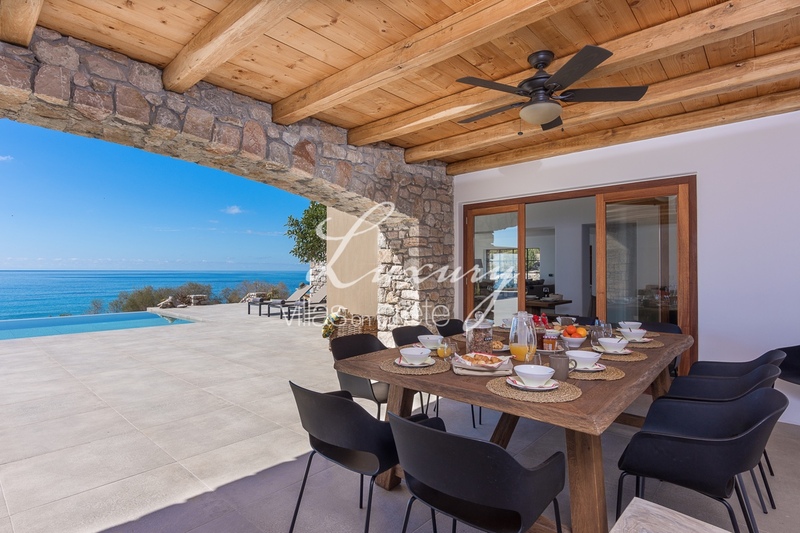 The spacious living-room with a stunning view of the sea and the mountains is connected with the dining room and the kitchen. 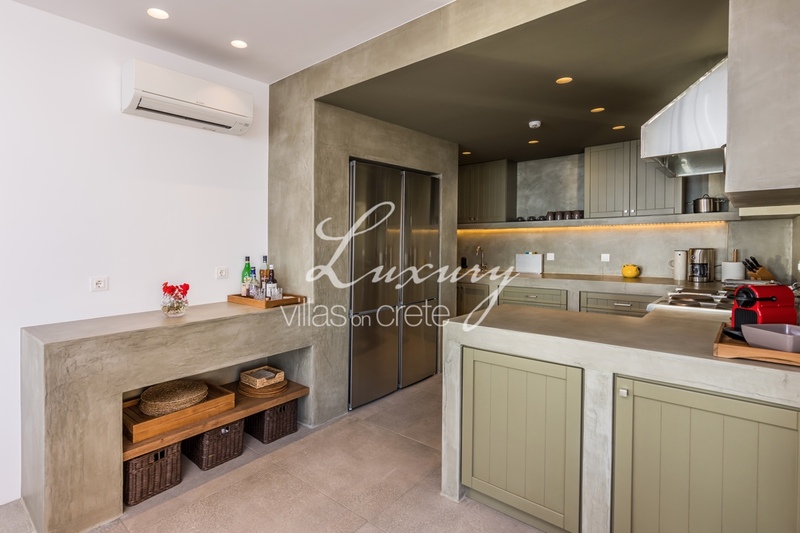 The kitchen is fully equipped with professional appliances and you can easily cook for more than thirty people. 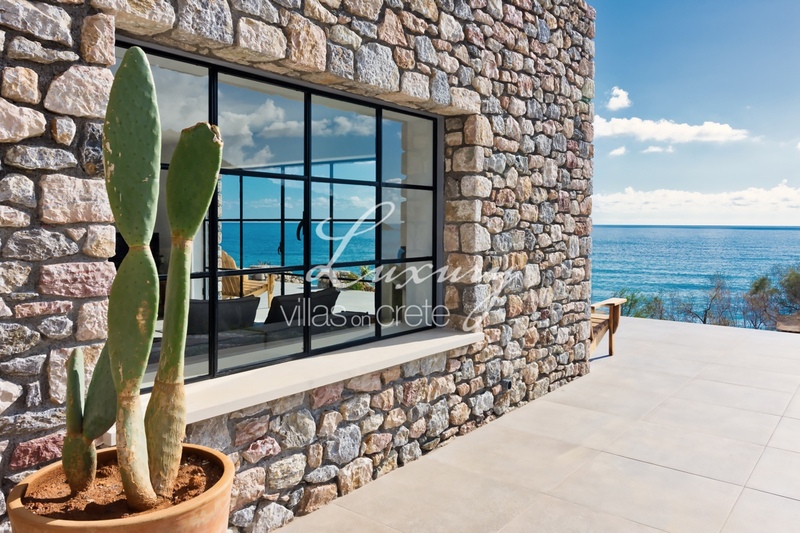 Well-appointed outdoor living spaces of the villa create the atmosphere of a private resort overlooking the Libyan Sea. 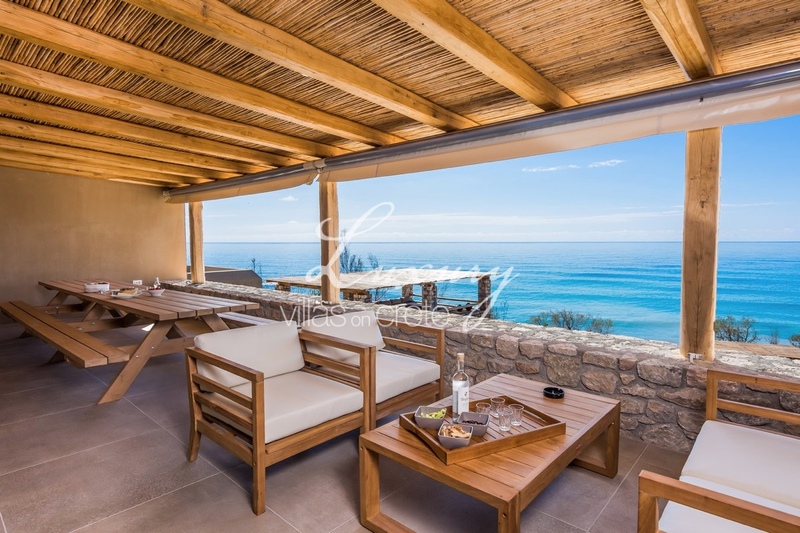 Four pergola-covered terraces with built-in sofas and dining tables are perfect for al-fresco lunches in the shade or dinner with stunning sea-views. 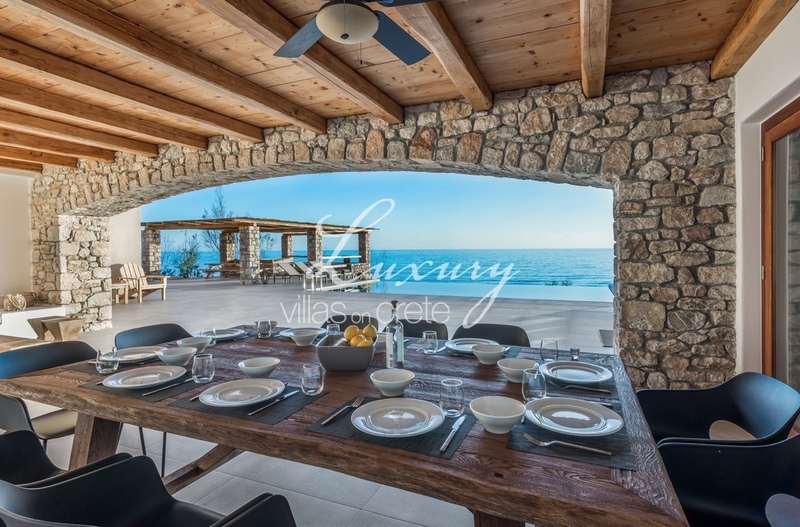 Two of the terraces have a BBQ, one of them by the sea. 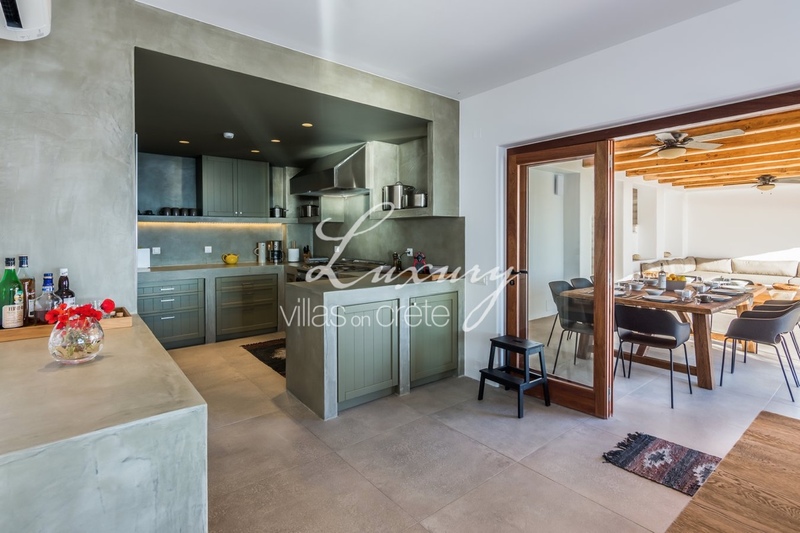 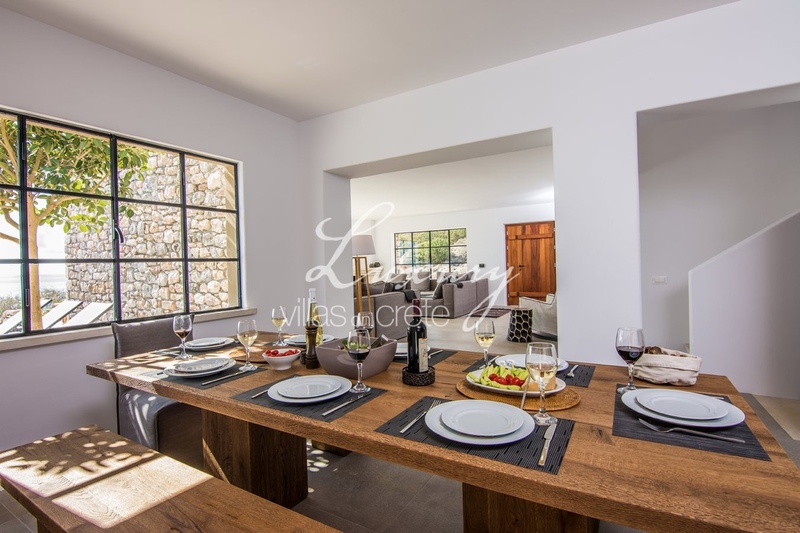 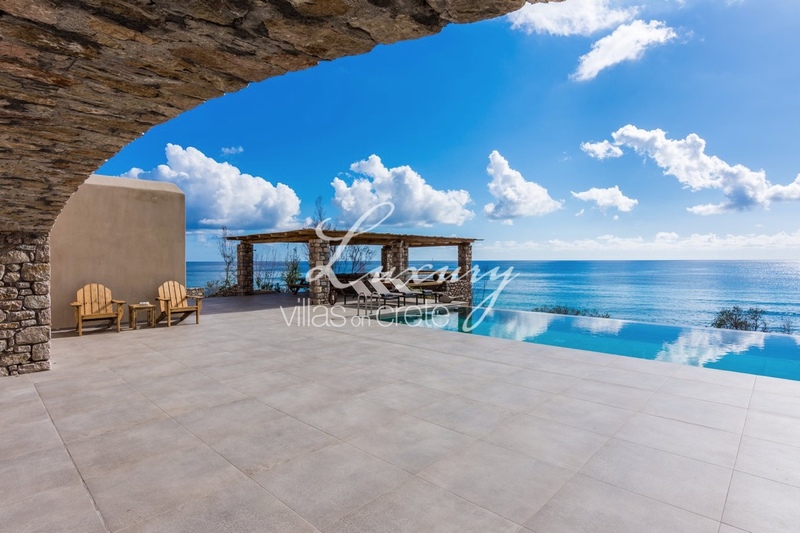 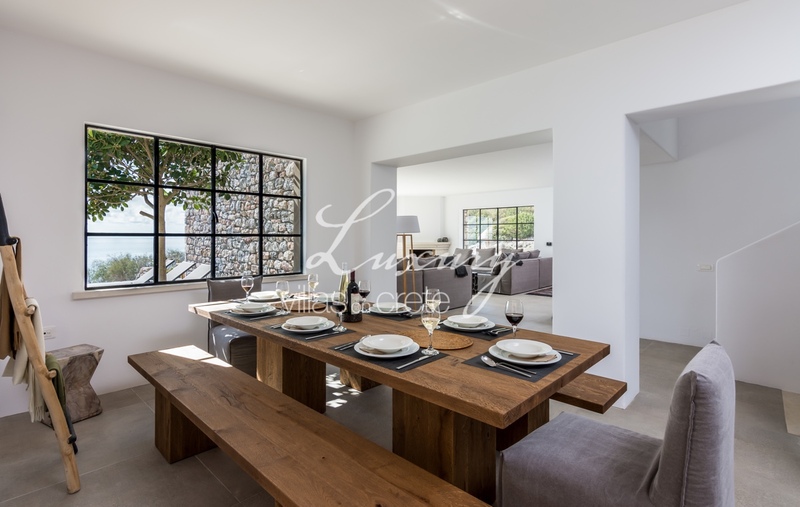 You can find an outdoor kitchen at one of the terraces and a large private sea-view pool 40m2. 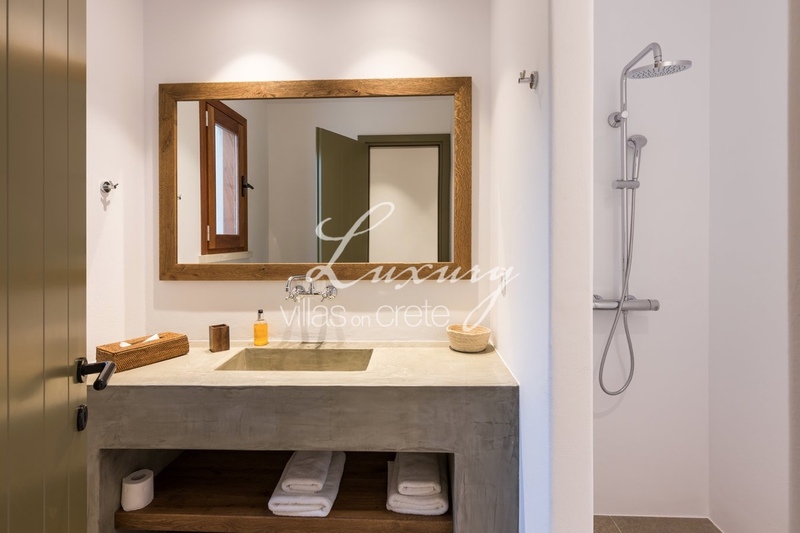 Bedroom 1 with a double bed and en-suite bathroom with stand-alone shower. 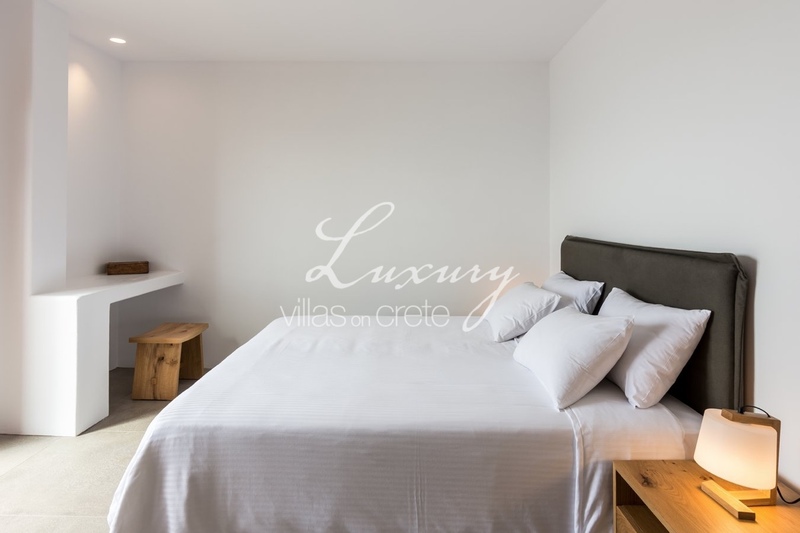 Bedroom 2 with three single beds and en-suite bathroom with stand-alone shower. 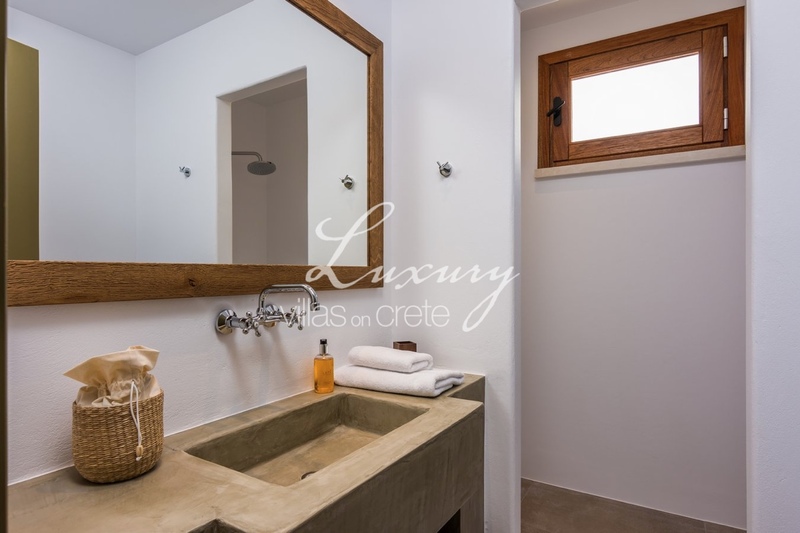 Bedroom 3 with a double bed and en-suite bathroom with stand-alone shower. 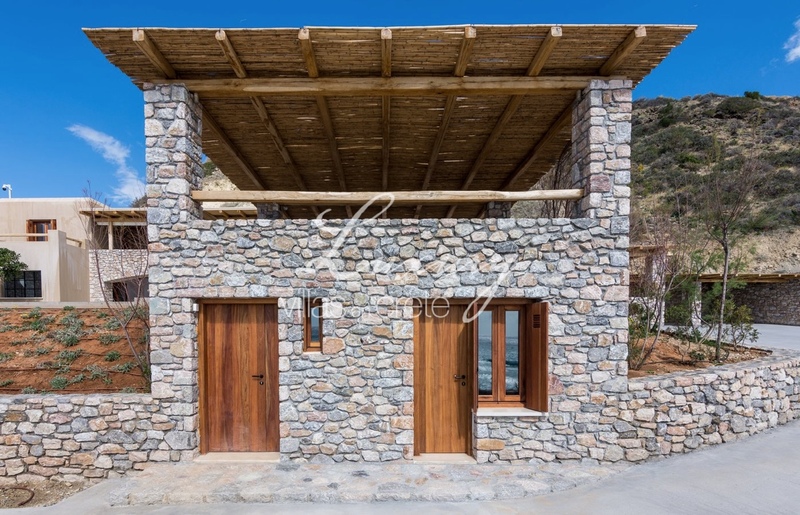 Bedroom 4 with three single beds and en-suite bathroom with stand-alone shower. 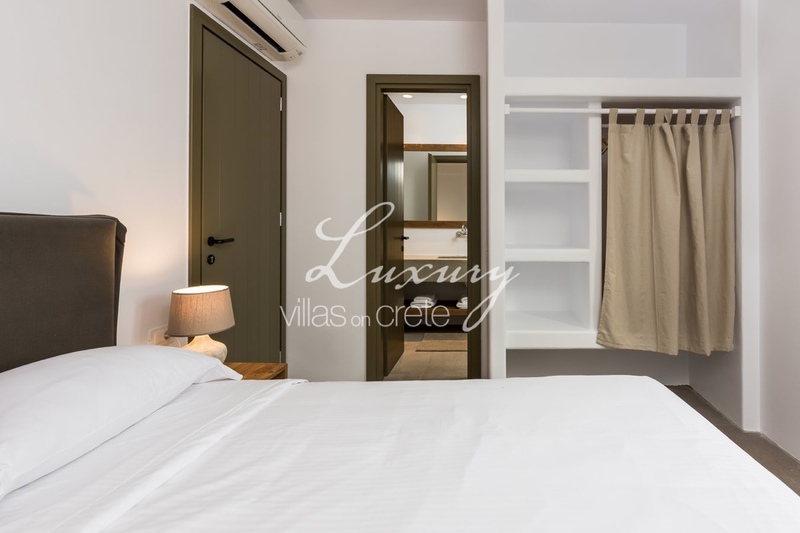 Bedroom 5 (Master) with a double bed and en-suite bathroom with stand-alone shower. 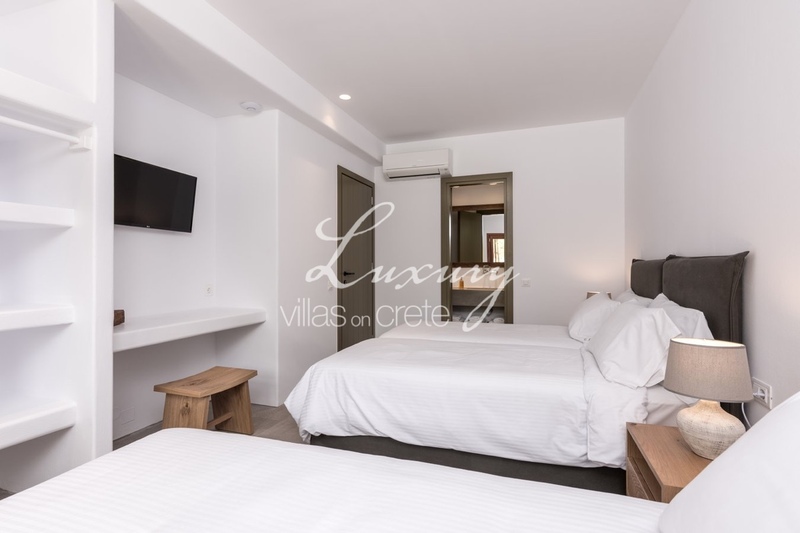 Family room 1 with two bedrooms, one with a double bed and one with three single beds and shared bathroom. 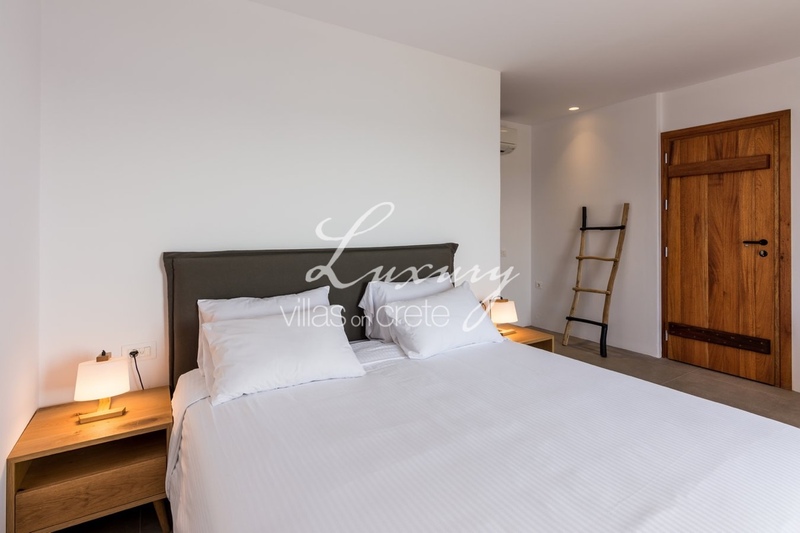 Bedroom 6 with one double bed and one single bed and en-suite bathroom with stand-alone shower. 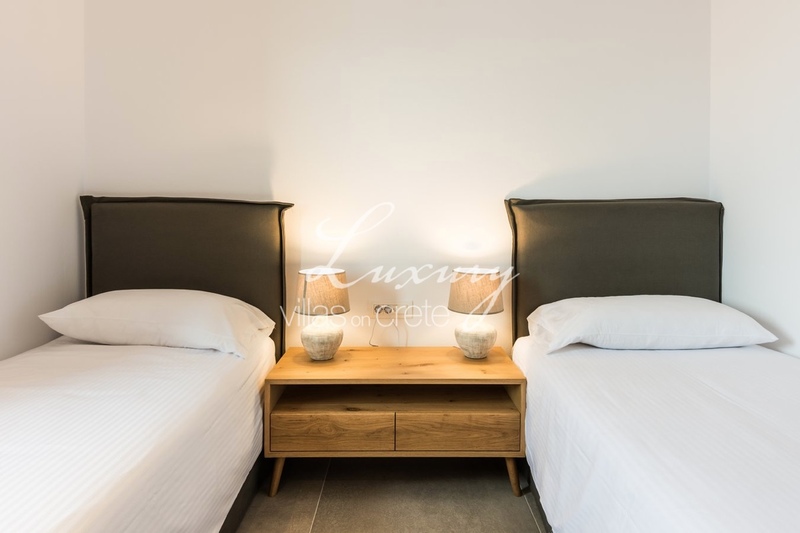 Family room 2 with two bedrooms, one with a double bed and one with two single beds and shared bathroom. 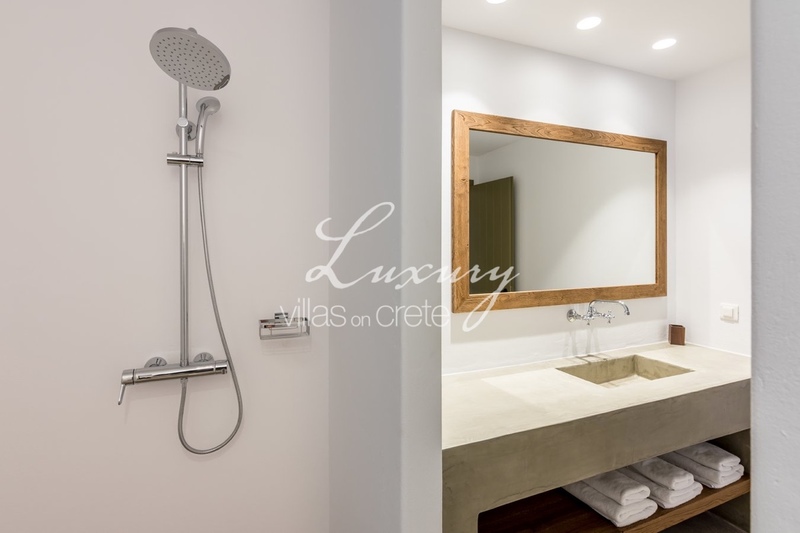 Bedroom 7 with one double bed and en-suite bathroom with stand-alone shower. 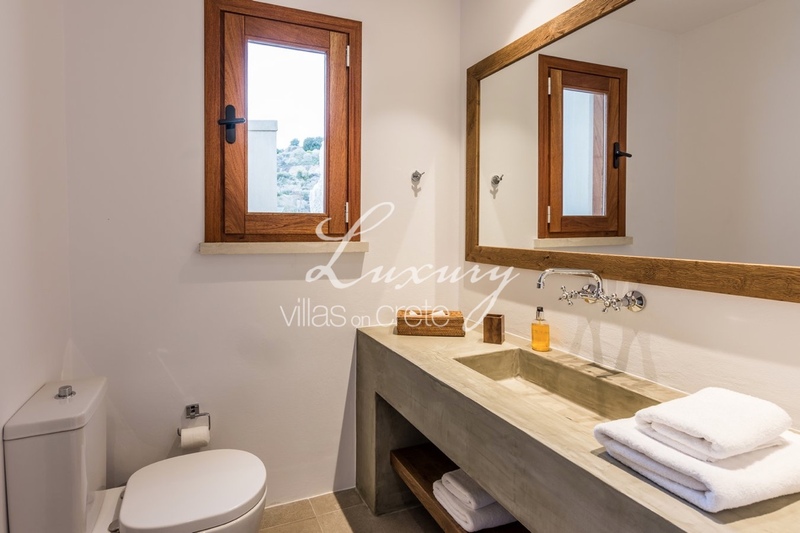 Bedroom 8 with a double bed and en-suite bathroom with stand-alone shower. 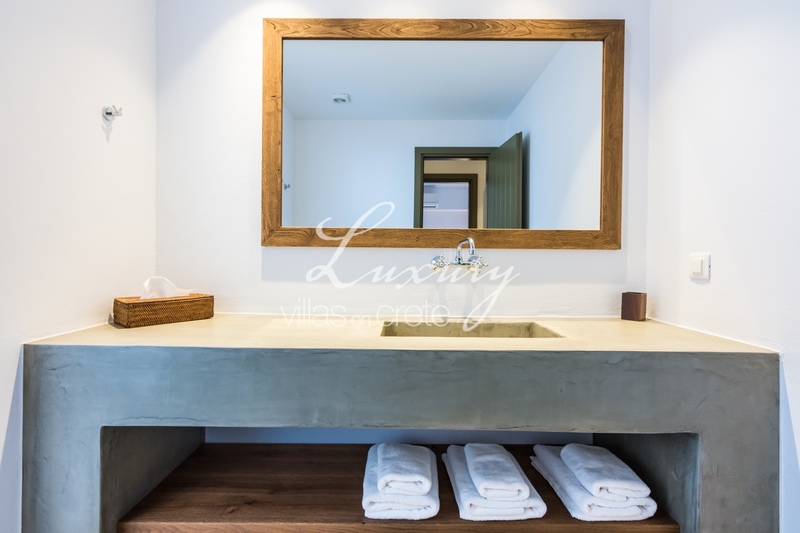 Daily maid service of common areas and linen & towels change once a week is included in the rate. 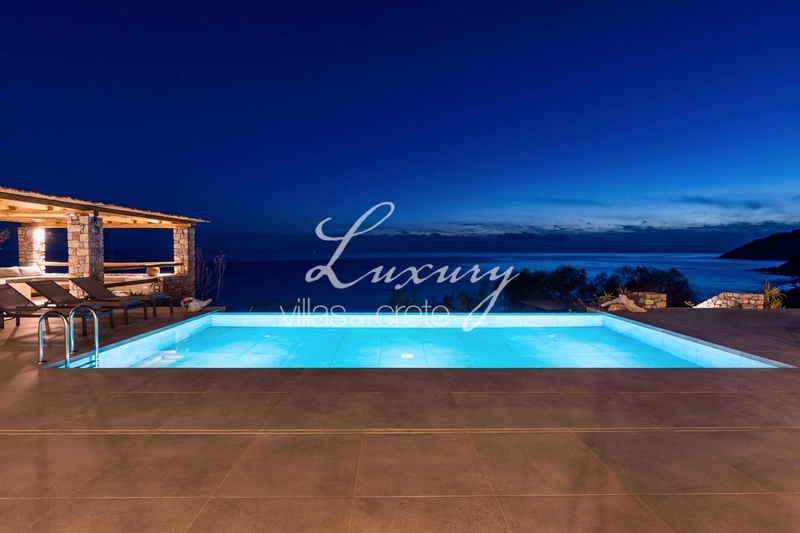 In the event of any cancellation prior to the arrival, the 30% deposit is non - refundable. 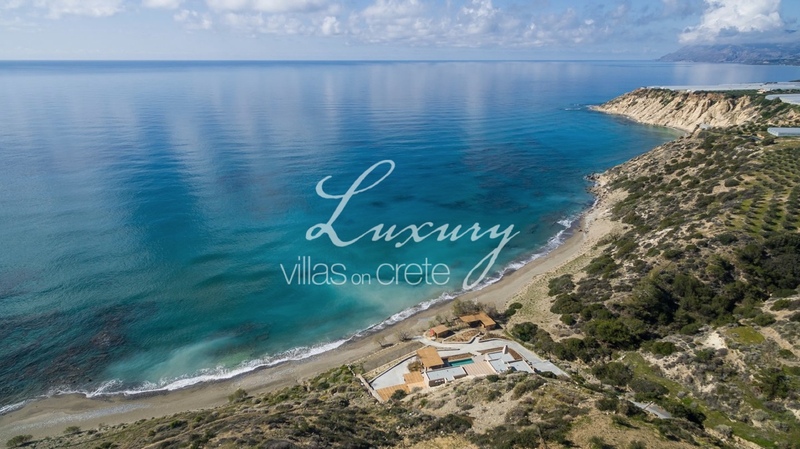 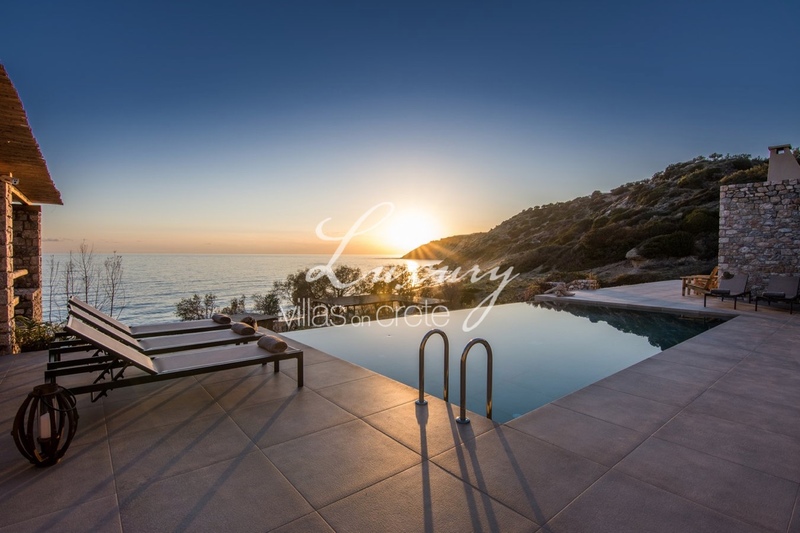 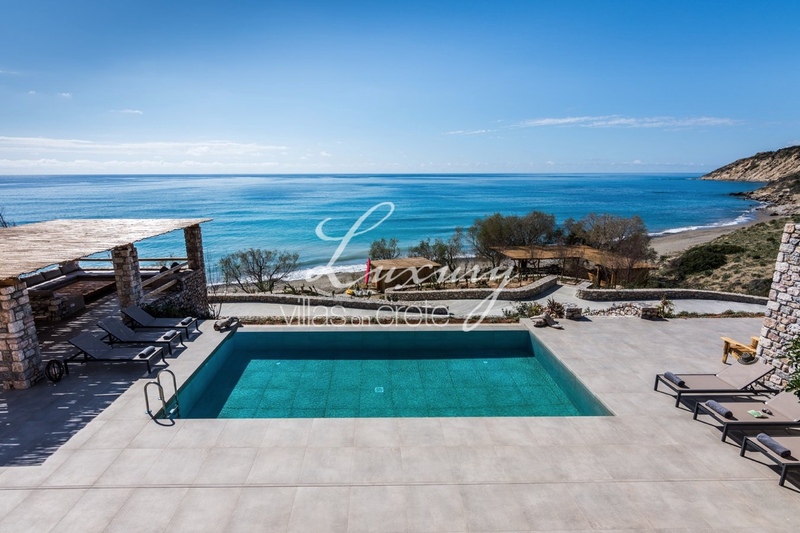 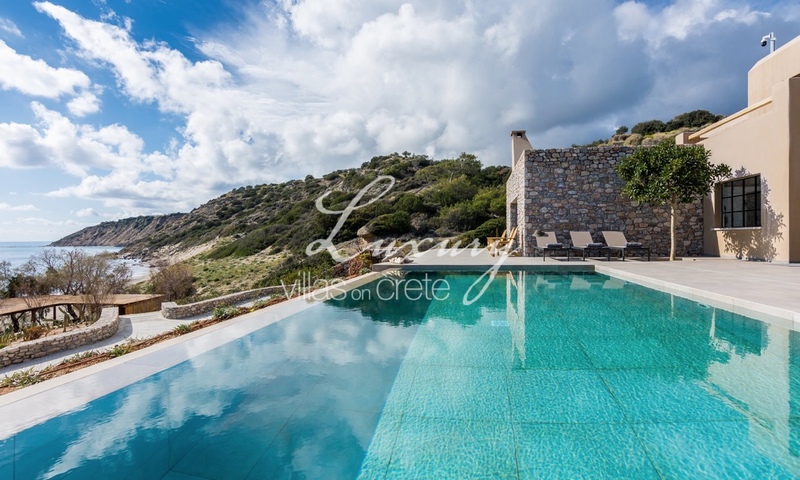 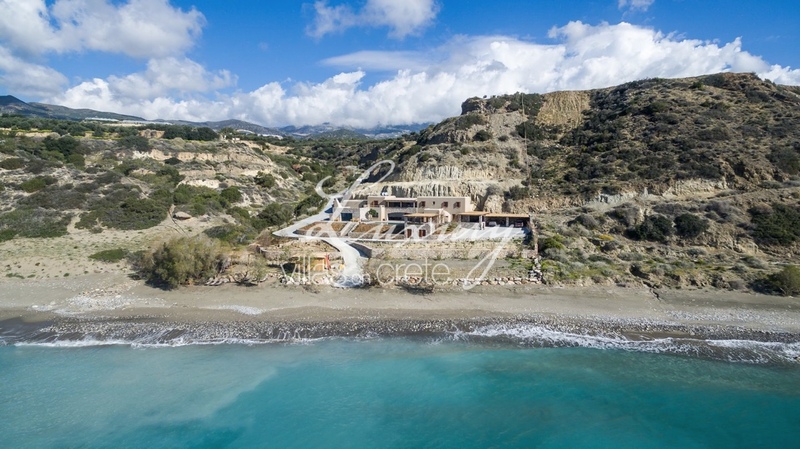 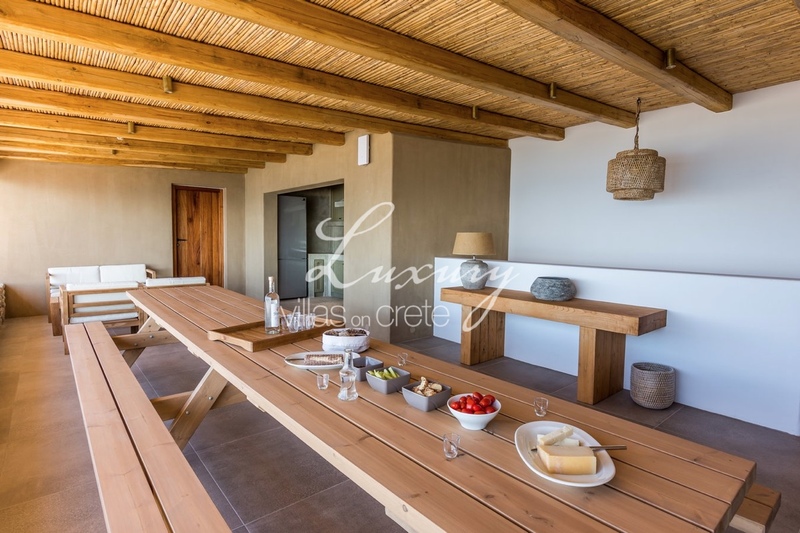 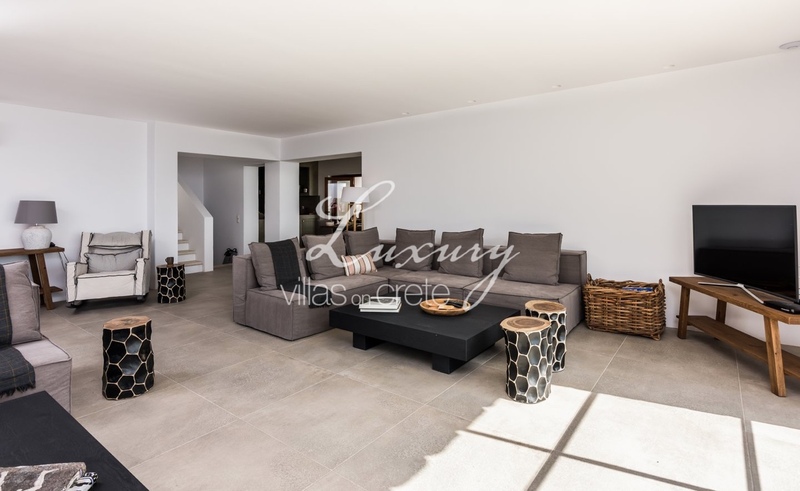 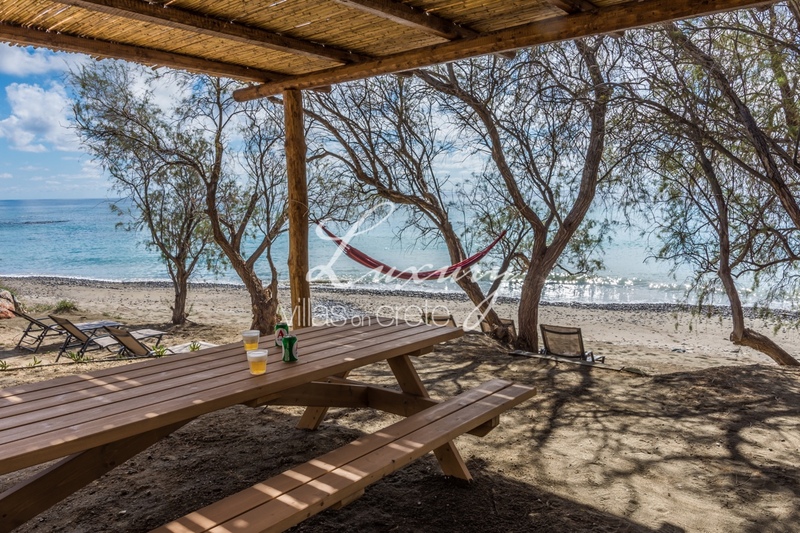 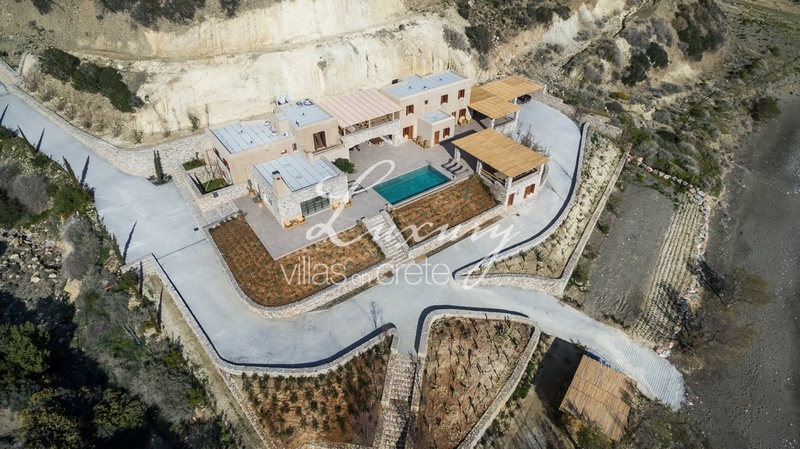 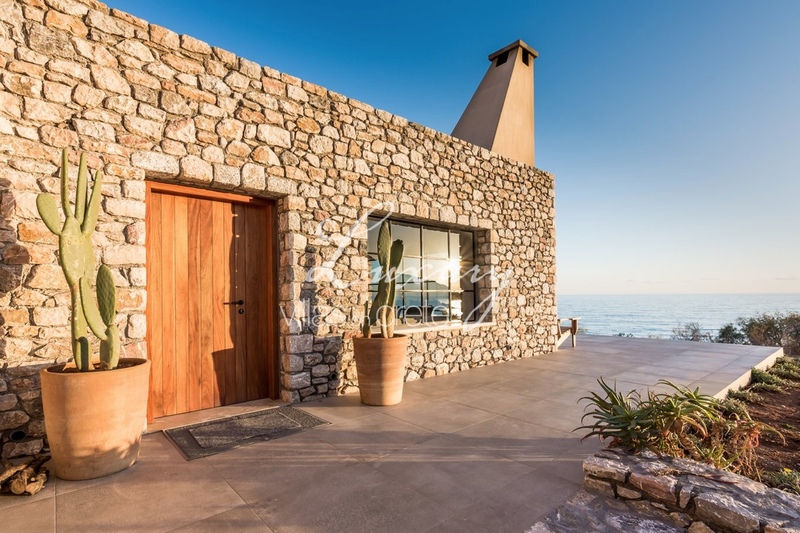 The villa is located on a private beach in a beautiful nature of South Crete.